A lonely Los Angeles comes to life in an indie murder mystery that brings plenty of atmosphere but little depth. What does it mean when a movie’s setting is so rapturously rendered that its characters, its plot and even the merest whiff of suspense evaporates into a haze? In the case of Gemini, that’s not entirely a bad thing. The place is today’s Los Angeles, but almost completely denatured of glitz. Instead we get cool-blue reflections in glass, illuminated by the glow of ubiquitous cell-phone screens. 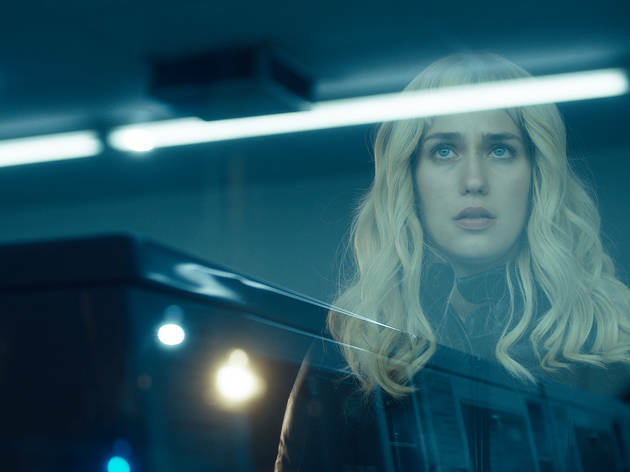 It’s a Hollywood story, but the film is more attuned to swirling night drives in the hills and the free-floating anxiety of identities in flux. Is Gemini on the level of classic L.A. films like Heat or The Player? Hardly. But you sink into its mood, and that’s enough. 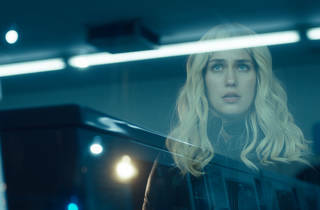 If you must know a smidgen of story, it concerns a rising starlet, Heather Anderson (Zoë Kravitz), who is established enough to get a project green-lit but still insecurely leaning on her tireless personal assistant, Jill (Mistress America’s Lola Kirke, who goes from organized to spacey and indistinct). You get the sense that their relationship is intensely codependent, so after Heather is murdered by a gun that Jill was inconveniently fondling only hours earlier, Gemini shifts into amateur-sleuth mode—the shadow assistant spinning out of the gravity of her missing boss, dyeing her hair blond like a millennial Hitchcock femme fatale and evading a serenely patient detective (John Cho, doing what he can with the part’s clichés). Writer-director Aaron Katz doesn’t usually have these problems of vagueness. His last film especially, 2014’s Land Ho!, emanated such an intense warmth for its central pair—two old friends on an Icelandic vacation—that you thought the glaciers around them would melt in empathy. Gemini has Katz stepping backward into the noirish neighborhood of his 2010 breakthrough, Cold Weather, with less penetrating results. Still, on the evidence of what we see here, his eyes are wide open to his surroundings. He’s working up to his Vertigo.